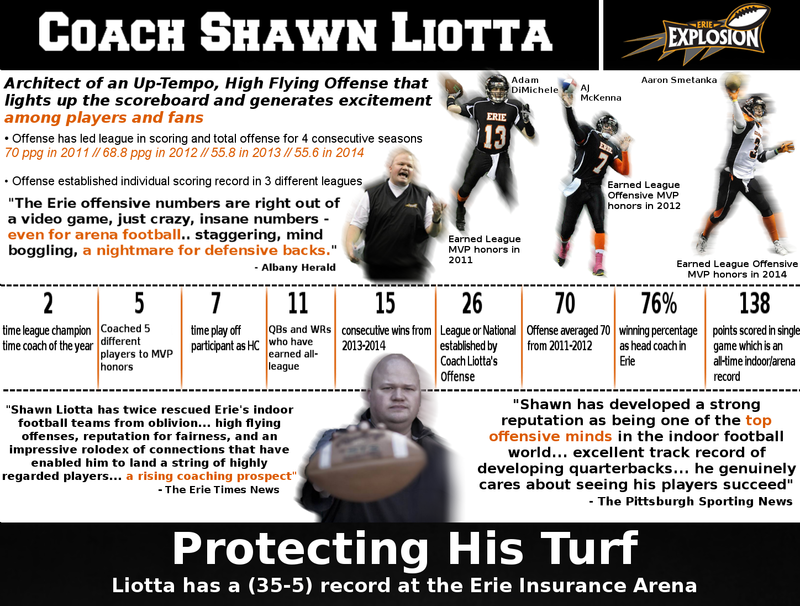 To develop and maintain a program that is consistently one of the most respected in professional indoor football. Provide dynamic and innovative leadership for a successful franchise that generates large levels of excitement and support from our fan-base and corporate sponsors. Recruit and develop a talented and high-character team who strive to be champions on and off the field. Compete with an exciting and wide-open brand of football which will drive our attendance levels to the top of the league.